Established in 1998, Esix provides international specialist IT security and Data Protection consultancy and training to a diverse range of customers including financial institutions, insurance companies, central government and the telecoms industry. With many years experience in the IT security sector, we know that IT security must start at the top. Security and Data Protection must be incorporated from the very beginning of any project and not included as an afterthought. The Esix Consulting Team is made up of specialist consultants who have worked in the IT security arena for over 20 years. Our training briefings are designed specifically from a management and user perspective. This enables all parts of your organization to develop an understanding of the issues related to IT security and Data Protection, and appreciate the implications for your business. Ultimately, the more confident and knowledgeable your staff are using corporate IT systems, the more effective your security will be. 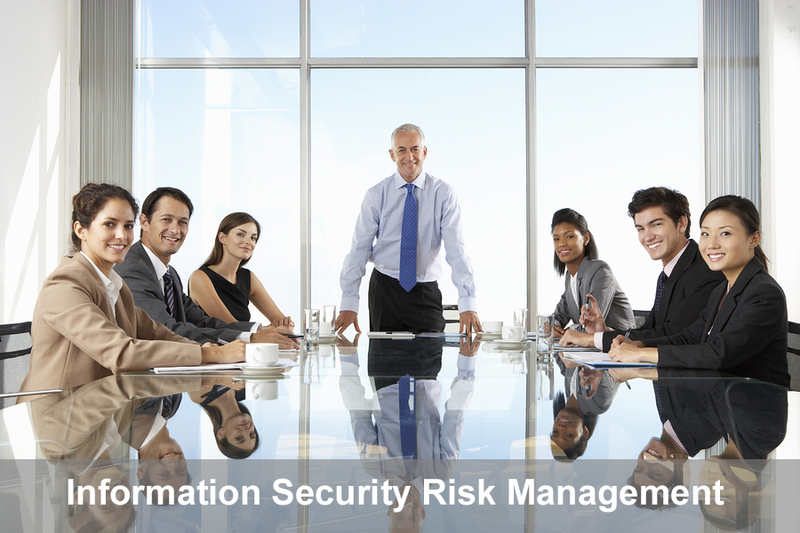 Our consultants have a wealth of experience in the IT security industry and also regularly work in staff training. We can therefore provide an unbiased and current assessment of IT security related issues, based on practical experience. 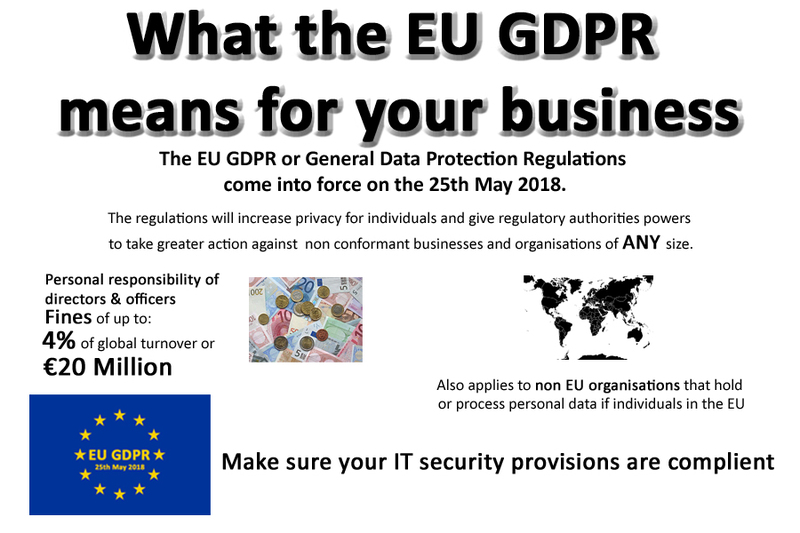 On May 25th 2018, the new European General Data Protection Regulations or GDPR come into force. This supersedes the UK Data Protection Act 1998 and is one of the most important pieces of legislation affecting businesses large and small. The regulations also apply to charities and any other organization that holds electronic data. The GDPR will apply in both the UK and across wider European Community, even after Brexit, and place new responsibilities not only on a company or organization, but also personally on the directors. The EU General Data Protection Regulation (EU) 2016/679) makes provision for potential fines of up to 4% of global annual corporate turnover, as well as making individual directors personally liable, for severe breaches of the regulations. For this reason, it is imperative that you as a director, whether you represent an SME or a global business, understand the contents the new European General Data Protection Regulation (GDPR), and the obligations and implications for you and your organization. Our consultants are well versed in these new regulations, and can help your organization plan for their adoption. We also offer an outsourced service, to allow your organization to contract out the role of the Data Protection Officer (DPO) to our impartial and specialist staff. Our consultants can technically evaluate the measures you currently have in place, make recommendations on those requiring implementation, and regularly review your provisions to ensure conformance. Copyright © 2017 Esix Ltd. All rights reserved.